I am very pleased to see that David Halberstam is to be memorialized by the naming of a chunk of Harvard Square in his honor. His first newspaper, The Crimson, broke the news a while back. Now comes word that it has been approved, and the ceremony is set for about two weeks from now, at 4:00 on October 6. For those who know the area, it is a triangle in a fairly prominent area, just past the point where Mt. Auburn Street passes in front of the Tennis & Squash Shop — which I think Halberstam, who wrote often and well about sports, would have liked. One drawback: the square honoring Halberstam is smack in front of the building that houses the Lampoon (an undergraduate humor publication), and about a block and half away from the building that houses Halberstam’s beloved Crimson. 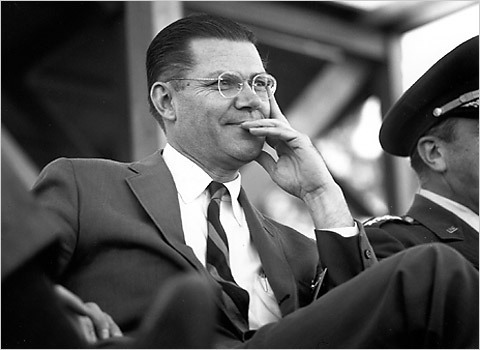 Halberstam was a public-school kid who got into Harvard in the 1950s, made it onto the staff at the Crimson, then went on to one of the greatest careers in American journalism history. It is timely to recall that he once wrote a book questioning the policy that led the U.S. into a combat role in a distant land where we did not speak the language, understand the history, or have a vital national interest at stake. This would be a good occasion to read either his The Making of a Quagmire or The Best and the Brightest. Yes. 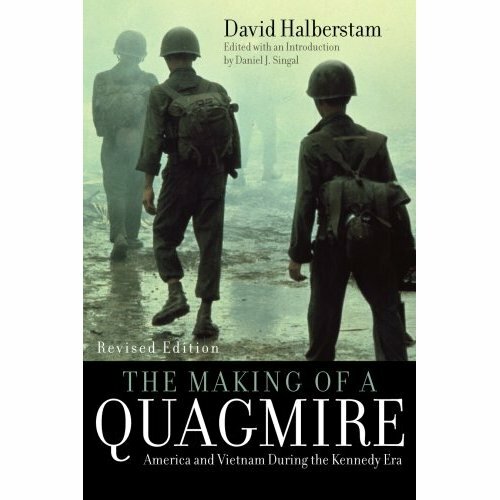 Every U.S. politician and would-be politician born after 1960 should read The Making of a Quagmire. Good point, Tom. I would just add that a few people born before 1960 should also read it (or re-read it) — especially the cohort of policy-makers and elected officials who got us into the current mess.